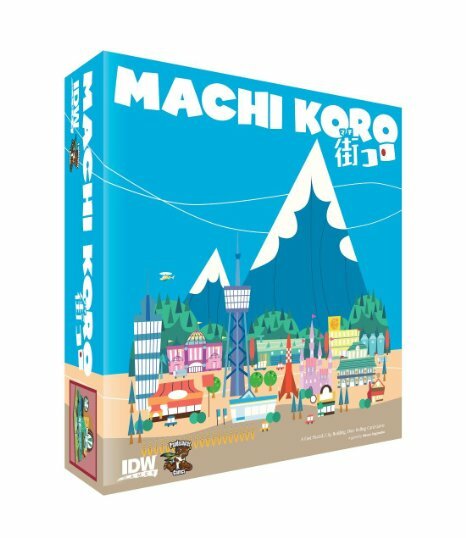 Basics-Who’s the best mayor of Machi Koro? In this game each player has just been elected the mayor of the city and starts with two cards that represent the building in the town along with four public works. The building come with numbers ranging from one to 12 while the public works give you new abilities to the ability to roll two dice or reroll. On a players turn, he or she rolls one six-sided die and every player consults the cards they have. Some cards give you money on anyone’s turn, some only on your turn, and some steal from the player who rolled the dice. After rolling the dice, the player can buy a card or build a public work. Then, play continues with the next player doing the same. The game ends when one player builds all four of their public works and is the best mayor! Whenever I take a look at your blog in Safari, it looks fine but when opening in I.E., it’s got some overlapping issues.